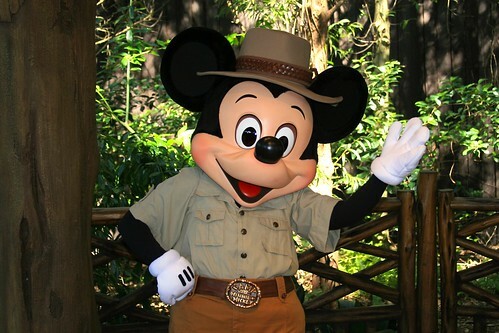 Set in the lush forests of North America, the Greetings Trails welcome you to join your favourite Disney friends in their Camp Councillor best. 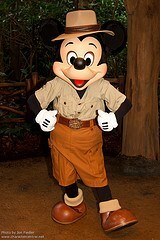 Come give Mickey a hug, goof around with Goofy, laugh with Minnie and tease poor Donald Duck, here in Camp Minnie-Mickey. 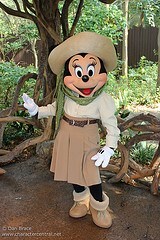 Mickey, Minnie, Goofy and Donald all meet here regularly in their Camp Councillor outfits. 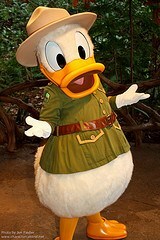 Sometimes Donald has to meet fans elsewhere and so Daisy stands in - but only very rarely. 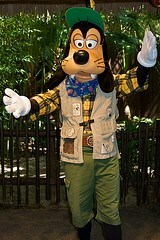 At Christmas time the characters wear their Christmas finest (including Santa Goofy!) and their backdrops get a seasonal overlay. The Greetings Trails closed forever on 6th January 2014 to make way for Avatar Land.